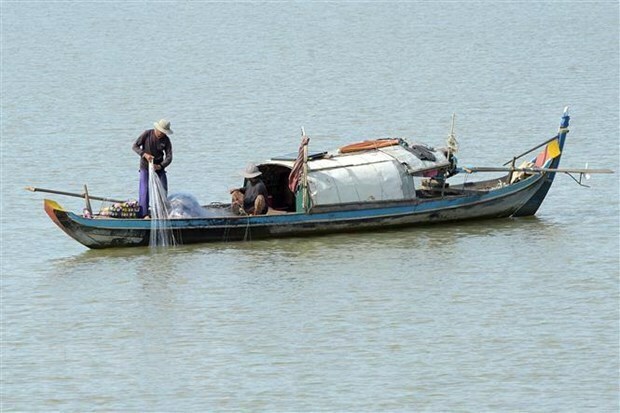 Bangkok (VNA) – Chinese Ambassador to Thailand Lyu Jian said on March 17 that his country will work closely with Thailand under the Lancang-Mekong Cooperation (LMC) framework to help promote the development of the Mekong Basin region. The statement was released to mark the start of the second Lancang-Mekong Cooperation Week, which will end on March 24, as well as to commemorate the third anniversary of the establishment of the LMC - a sub-regional cooperation mechanism launched in 2016 that counts China, Cambodia, Laos Myanmar, Thailand, and Vietnam as its members. Lyu said China has been closely cooperating with Thailand to work on water resources management, cross-border trade, and promote e-commerce in rural areas. According to the ambassador, the two countries are planning to expand their area of cooperation to include agriculture, vocational education, training, health care, youth exchanges, and environment protection. Within three years, by using the six countries' geographical proximity, cultural affinity and economic linkages to promote all-round cooperation, almost 30 infrastructure projects have been initiated and about 100 small and medium enterprises have been established under the LMC framework.